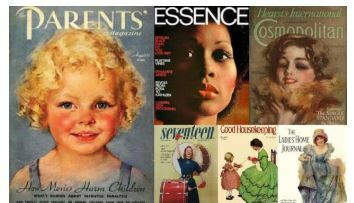 WMA is an archival research resource comprising the full backfiles of leading women’s interest consumer magazines. Titles are scanned from cover to cover in high-resolution color and feature detailed article-level indexing. Coverage ranges from the late-19th century through to 2005 and these key primary sources permit the examination of the events, trends, and attitudes of this period. Among the research fields served by this material are gender studies, social history, economics/marketing, media, fashion, politics, and popular culture. The trial runs until 14th February 2019.